Jim Lee on top form! A little bit rushed for a first issue. Issue 2 isn't out yet. Right off the bat (sorry), I want to say how good it feels seeing Jim Lee drawing a Batman title again; Jim is one of my favourite comic book artists and has worked alongside incredible writers on some top tier “required reading” Batman stories; including the iconic Hush. But we’re not here to talk about Hush, as much as I would love to. No, we’re here to talk about the first issue of the new four part mini series, Batman: Europa. This title was announced back in 2004 and then…nothing. Readers were promised a story that took the Dark Knight and his archnemesis/counterfoil, The Joker, around various European locations but nothing seemed to come of it; with the story being put on hiatus until now, eleven years later in 2015, readers finally get the comic title they were promised! However, unlike the above referenced travesty that was Duke Nukem Forever, being left for over a decade has done nothing to diminish the final delivery of this comic. Writers Matteo Casali (very recently worked with Marvel on their What If? series) and Brian Azarello (a DC veteran, having worked on the Gotham Knights series, among other Bat-titles) have fully captured a feel for the classic “Iron Age” of comics from the late ’80s onwards, where everything got a bit grim, a bit darker and a bit more sinister and Batman really came into his own as the character we love today. Europa, as previously mentioned, puts ol’Brucey in a situation where….oh wait, *ahem*. Still with me? Good. 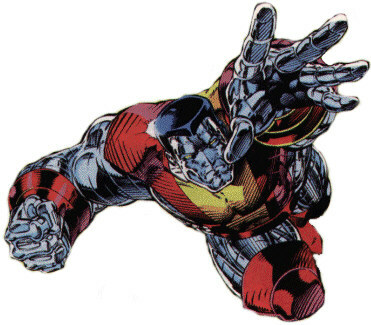 Bruce has been infected by a virus known only as Colossus. This investigation leads Bruce to Berlin where, after some old school detective work, trailing local goons, he discovers a restaurant full of dead joker gas victims and finds Joker, confronting him about the Colossus virus. Let’s just take a moment to appreciate Jim Lee at work here. Joker was sent to Berlin following similar clues as he is also infected. (Arkham City anyone?) so the issue closes with Batman and Joker being forced into a situation where they have to work together. The artwork is absolutely stunning and really has an old school Batman feel, with Jim Lee opting for the grey and blue outfit. This is perfectly complimented by the writing, with the first person narrative thought boxes that have become almost a trademark of the Bat-Family franchise. Already, after only one issue there is a real sense of threat with having these two nemeses in a volatile situation where they have to work together and where both are suffering from a degenerative lethal virus. My one gripe would be that it feels quite fast paced and almost rushed for a first issue. There is very little setup to the virus and the plot does skim over some quite important plot points and has a very “suddenly Joker” moment but overall these points can be forgiven because the plot is engrossing enough to keep the reader captivated.